As West Ranch’s Preston Pope and Canyon’s Ethan Danforth approached the final 50 yards or so of the second Foothill League cross country meet Thursday afternoon, mere inches separated the two. Danforth, who won the first league race, looked to have the edge as he began to box Pope in toward the side barrier at Central Park. But Pope (15:23 50) withstood the jostling near the finish line to overtake Danforth (15:23.91) to win the race and lead West Ranch to a one-point victory over second-place Canyon. “I’ve played basketball most of my life, so that didn’t really affect me,” Pope said of Danforth trying to box him out near the finish line. “That was probably the most fun race I’ve ever been in. “Danforth’s a great competitor and we were going at it all race. That’s what we love about this sport.” Pope, who acknowledged that was probably the closest race he’s ever been in, improved on a fourth-place finish from the first league race when he battled sickness. The Wildcats were able to win the meet after a third-place finish in the first race. “When the boys lined up, I told them, ‘Don’t underestimate anyone, but don’t let them underestimate you, either,’” said West Ranch coach Sara Soltani. “I think that fired them up.” Not much changed for the second girls race. Saugus’ Mariah Castillo (17:17.12) cruised to another first-place finish while teammate Jacqueline Cascione (17:56.15) placed second after a third-place finish in meet No. 1. Saugus’ Mackenna Park (18:30.78) took third place. “Definitely felt a little more confident coming into this one but didn’t really feel any major differences,” Castillo said. “It was nice to see Jacqueline improve and finish second. As a team, I think we did much better. Saugus won its second consecutive girls league race while West Ranch and Valencia finished second and third, respectively, once again. West Ranch closed the gap a bit, though, losing by 14 points Thursday compared to a 35-point defeat in the first race. Saugus was hampered a bit in the boys race as its top runner, Boon Andrews, lost his shoe mid-race and finished without it. Saugus finished third following a second-place finish in the first race. 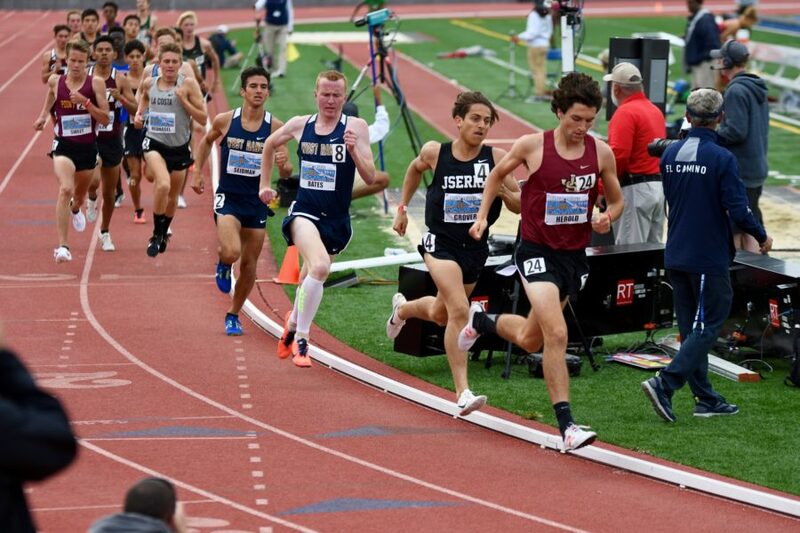 West Ranch’s Isaiah Seidman also lost a shoe during the race and finished 26th. Valencia’s Britain Reynolds finished third in the boys race (15:29.69) followed by West Ranch’s Evan Bates (15:38.88) and Valencia’s Gefen Shachar (15:48.91).